If you’re giving your pets the Iams dry food, now is the chance to get them at a much lower price than you used to. Amazon is giving away the $1 off coupon usable with the participating Iams dry dog or cat food products. Check out this amazing offer from Amazon then just sign in, clip the coupon, and buy the product of your choice. You’ll receive the discount on check out. There are a lot of products that shoppers can use with the coupon. Feel free to choose which one of them you should get. Under the ProActive Health brand for dogs, the available variants are the MiniChunks, Lamb Meal and Rice, Smart Puppy Large Breed, and Adult Digestive Care Formula. For cats, you can use the coupon with the Proactive Health Adult Cat Indoor Weight and Hairball Care Formula, Adult Original with Chicken, and Dry Cat Food for Kittens, among others. There are simply several choices in store for you. Just take note if you have to buy just a single pack or several of them at checkout. 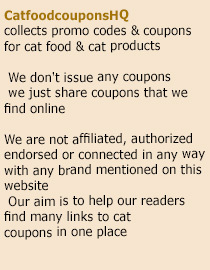 With this Amazon dog and cat dry food coupon, you’re surely getting more value for your money. This entry was posted in Iams. Bookmark the permalink.